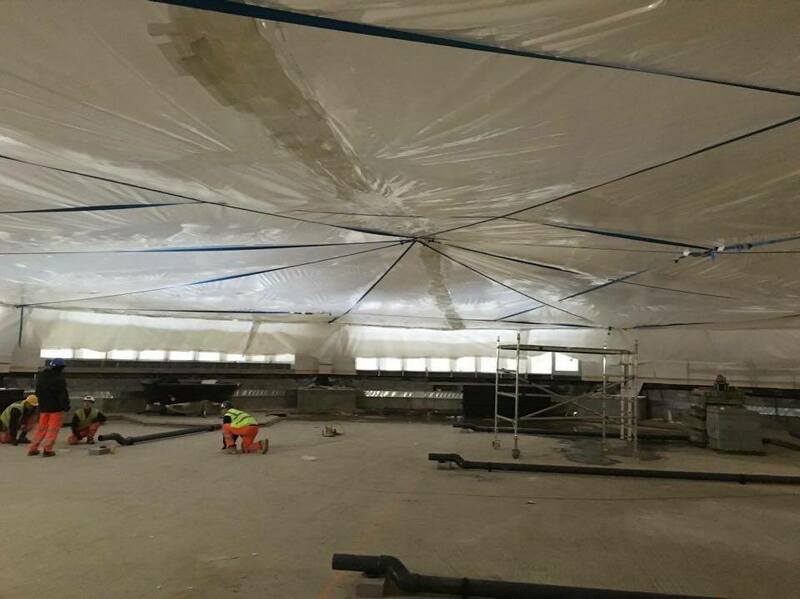 With a team of 5 employees working over the course of 1 weekend, Rhino have completed the installation of a 600 square metre temporary ceiling dust barrier in Louth, UK. 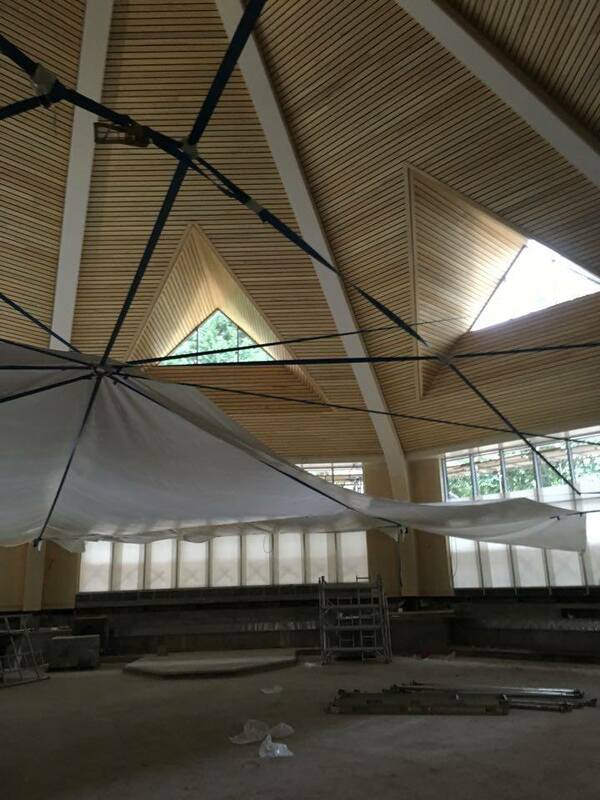 Lincolnshire based Gelder Group, who employ over 300 people in the UK, contacted Rhino to construct a temporary suspended ceiling dust barrier in order to completely contain the dust generated during the construction of a new spa complex at the Kenwick Park Hotel. 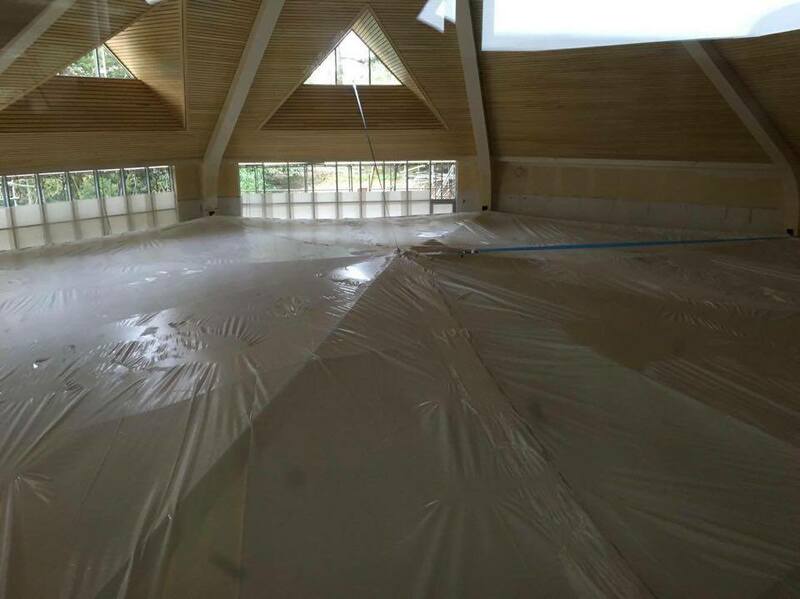 Because the building which houses the spa and pool area had been mostly completed, there was a potential issue whereby continuing construction work would create dust that would eventually require extensive high level cleaning of wooden pannelling and other finished surfaces. 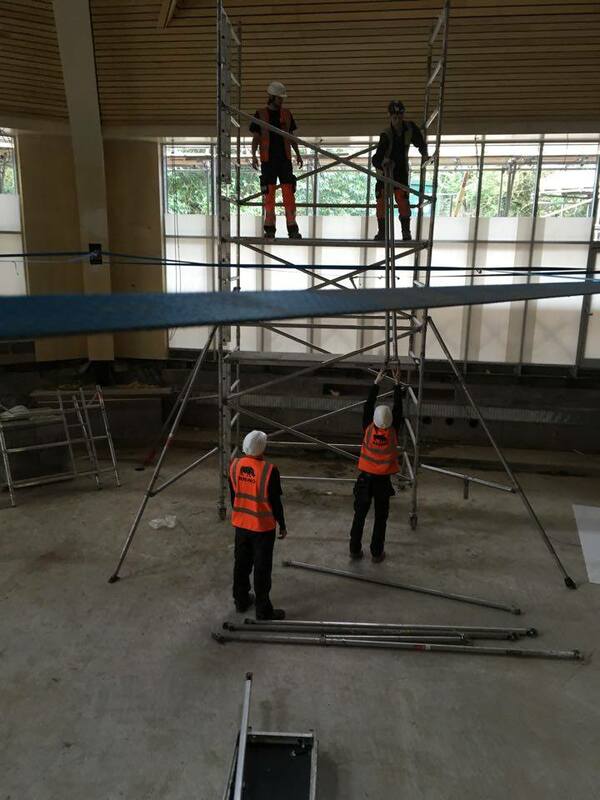 In most cases where large dust and debris containment sheeting is used to create temporary partitions in factories and retail environments, we fix the sheets to a scaffolding structure. For this project, scaffolding was not required for access purposes, and to set up a temporary scaffolding just for the purposes of supporting the dust control sheeting would have been time consuming and costly. Instead, Rhino proposed a support structure based around tensioned strapping. With anchor points pre-fixed into the walls by the main contractor, the shrink wrap installation team from Rhino, used access towers to install 20 tensioned straps which radiated from around the building to a central ring. Finally a ratchet strap was attached to the central ring from above and tensioned to create a cone effect. 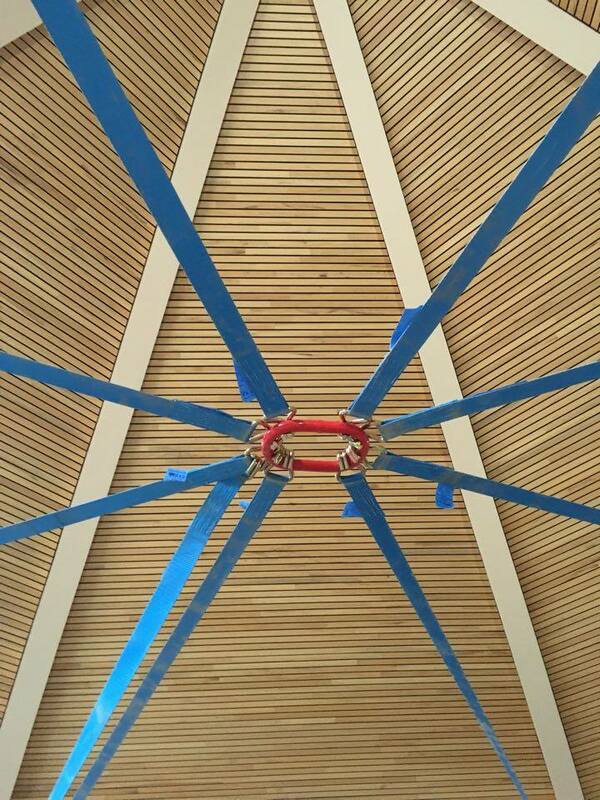 With the tensioned strapping support structure in place, the Rhino team used a 12 metre wide, 200 micro thick, flame retardant shrink wrap sheet to create the temporary construction ceiling. Overlaps between sheets were heat welded to create a continuously sealed skin. Around the edge of the building, temporary corrugated plastic panels were fixed to the walls and a skirt was installed between the roof sheeting and the wall. In this way, any dust from the construction work below could be completely contained.